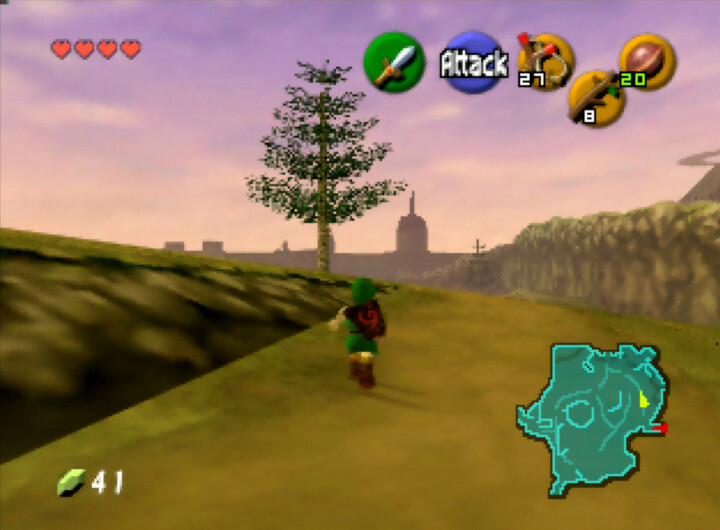 The Legend of Zelda: Ocarina of Time review – how does it play today? 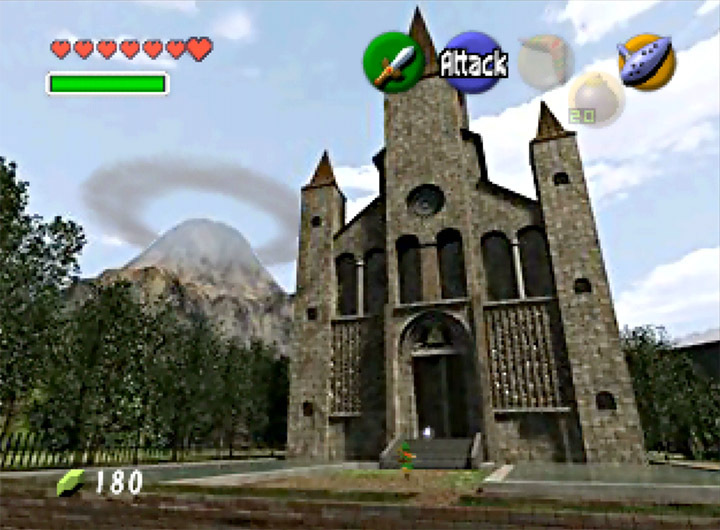 When The Legend of Zelda: Ocarina of Time released in 1998, it was widely considered to be the greatest video game ever made. In fact, 20 years later it still sits at the top of Metacritic’s list of all-time highest-rated video games. It’s not surprising. The Legend of Zelda: Ocarina of Time had it all upon release: an epic story, a strong cinematic presentation, superb visuals and unrivalled game design. Not only that, but it introduced now-standard features such as a target-lock system and context-sensitive buttons. Both of which still feature heavily in today’s video games. 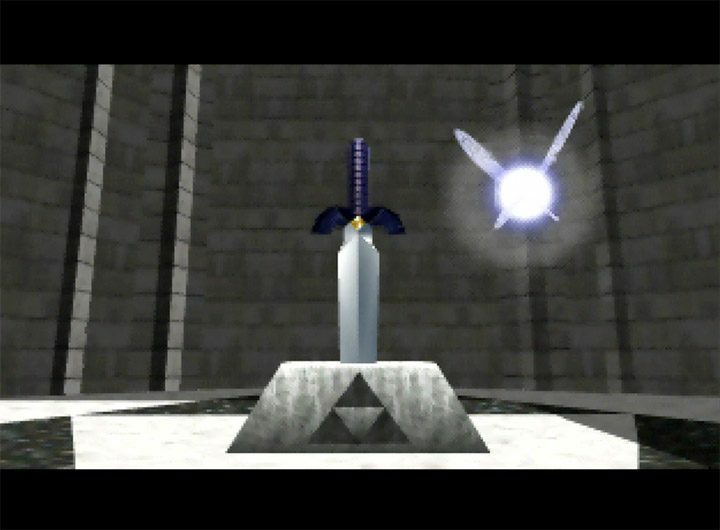 Legacy is all well and good, but is The Legend of Zelda: Ocarina of Time actually still enjoyable to play? 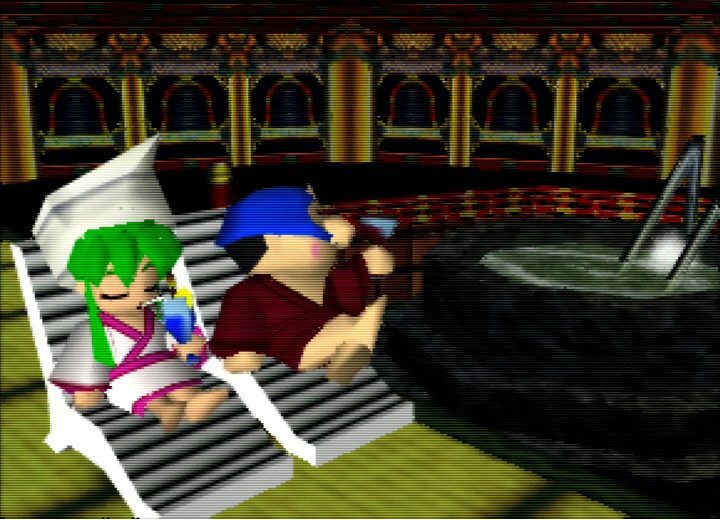 While some elements are clearly dated, it’s fair to say that the N64’s finest adventure still holds up for the most part. 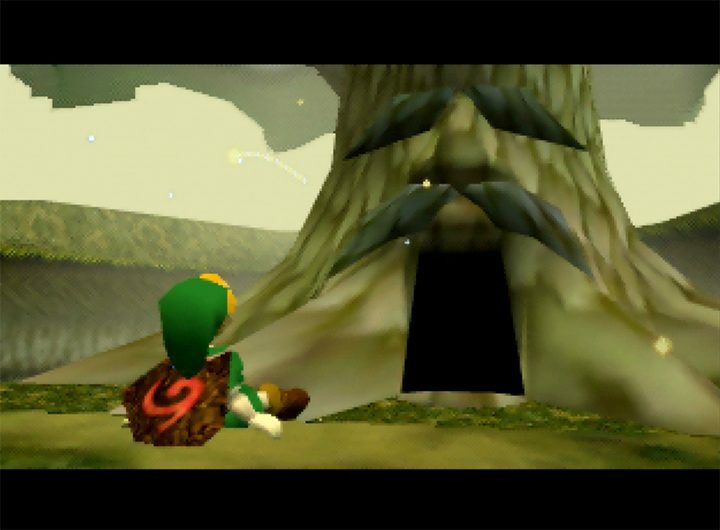 What’s The Legend of Zelda: Ocarina of Time about? 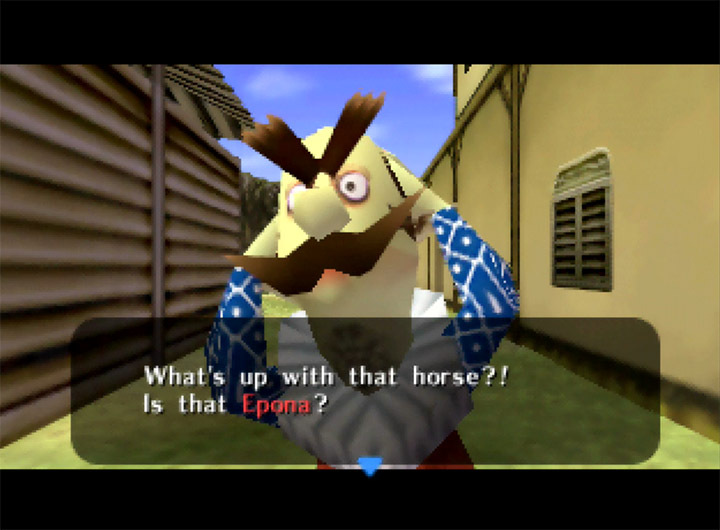 The Legend of Zelda: Ocarina of Time is an action-adventure game set in the medieval-fantasy world of Hyrule. 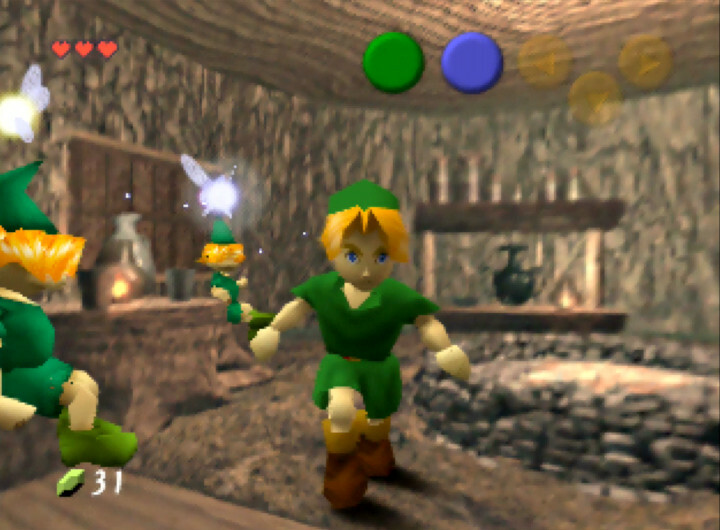 You play as Link, a young boy who lives in Kokiri Forest. One day, he’s summoned by the Great Deku Tree, who tasks him with the tall order of saving the world from the evil Desert King Ganondorf. 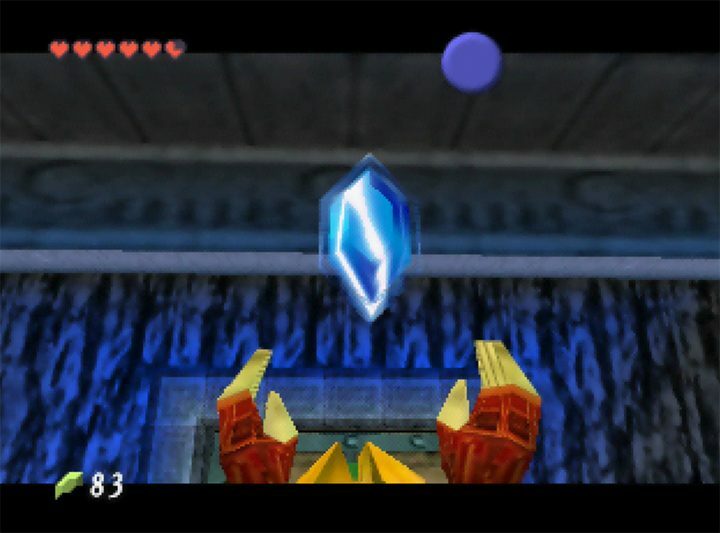 Ganondorf seeks access to the Sacred Realm to obtain the Triforce – a divine object that grants the wish of whoever touches it. In other words, it’s the sort of thing you don’t want the bad guy getting their hands on. 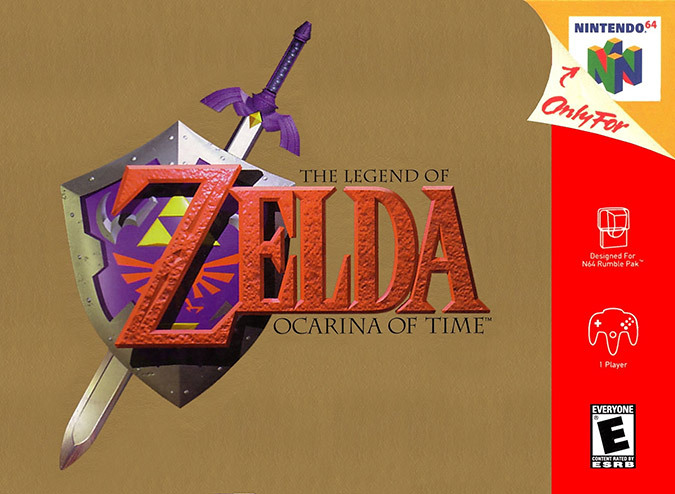 At the heart of all of this is the Ocarina of Time. 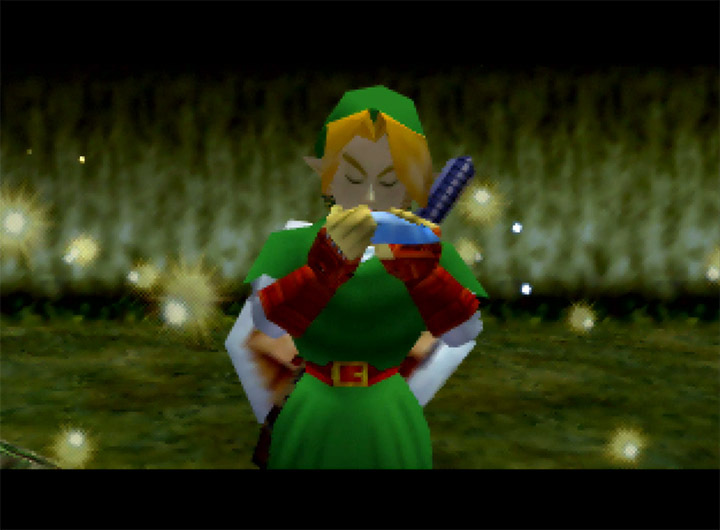 This eponymous instrument contains magical properties, and plays a vital role in Link’s quest. As you travel across Hyrule, you’ll learn enchanted melodies that can unlock doors, teleport you to far-flung places and even change the weather. What starts as a whimsical childhood romp soon becomes an epic journey across both the land and time itself. 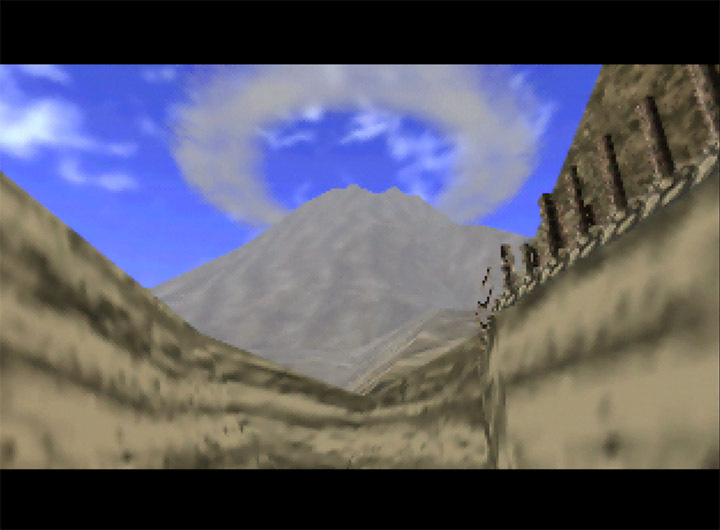 You simply won’t find a grander adventure anywhere else on N64. Hyrule is a geographically diverse land comprising many biomes. It’s steeped in history and legend, and home to a number of different races and tribes. It seemed impossibly massive in 1998. 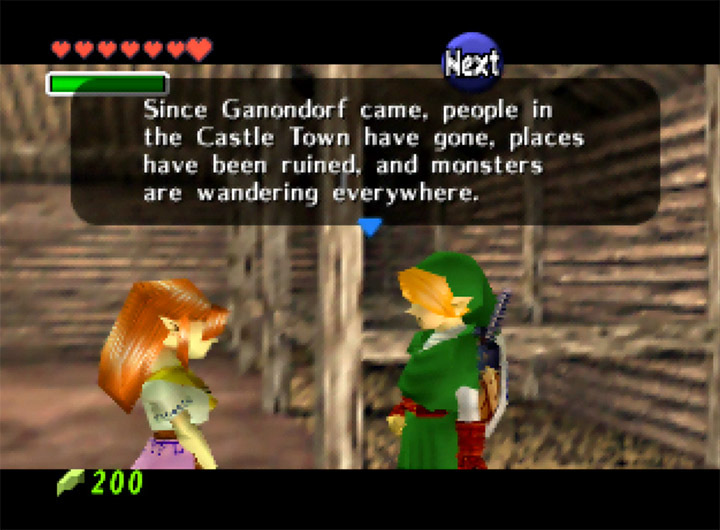 But nowadays this version of Hyrule can’t help but feel small compared to the worlds found in modern games. Don’t let that put you off though – there’s still plenty to see and do here. 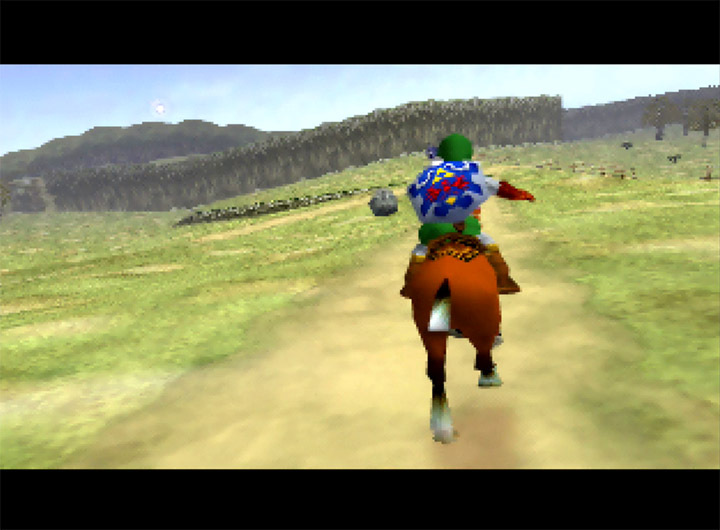 After all, the Ocarina of Time does act as a fast-travel system – and with good reason. You’ll explore every corner of the land in your search for ancient dungeons and temples. You’ll visit towns and settlements, and meet a number of endearing and memorable people along the way. Navi, Link’s fairy companion, helps to guide you through this world. She can lock onto enemies, point out things of interest, and even give you hints about what to do next. Outside of the main quest, Hyrule has more to offer. 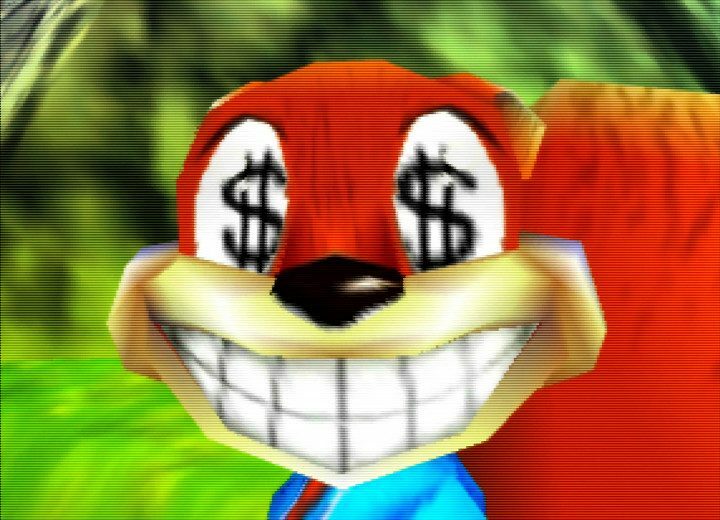 There are side quests and mini-games that offer rewards, and secrets that demand problem solving and experimentation. It gives the impression of a world that has a lot more to it. Not to mention unlocking a horse or an improved sword is great. Unfortunately, the smaller secrets and tasks are pretty repetitive. 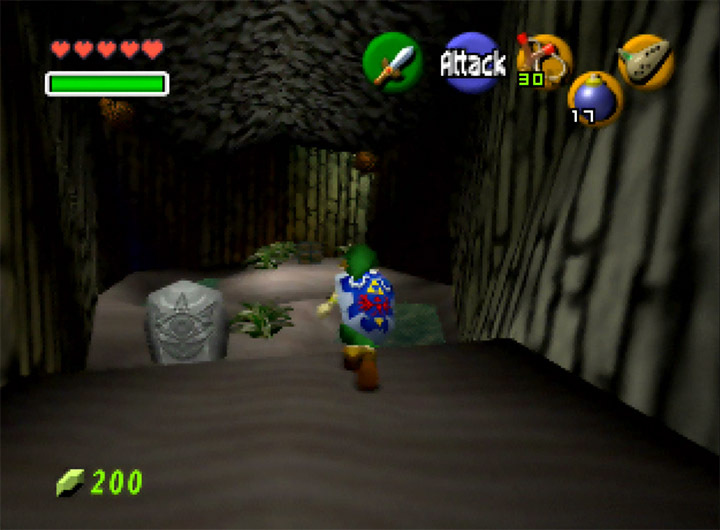 Discovering a hidden underground area is exciting at first. But by the fifth reveal, you quickly realise they’re more or less all exactly the same. Still, it’s a minor criticism that’s easy to forgive when the main quest is so enthralling and exciting. 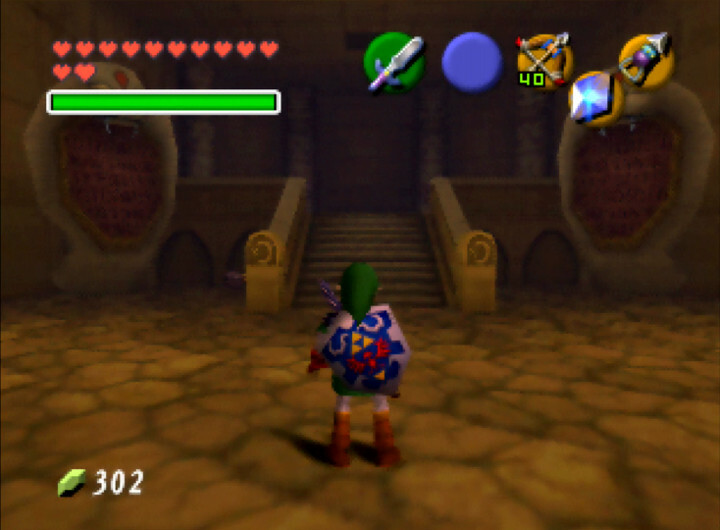 The Legend of Zelda: Ocarina of Time features 12 dungeons to explore and conquer. These sacred grounds contain important quest items, which you’ll need to defeat Ganondorf. They’re where you’ll spend most of your time. 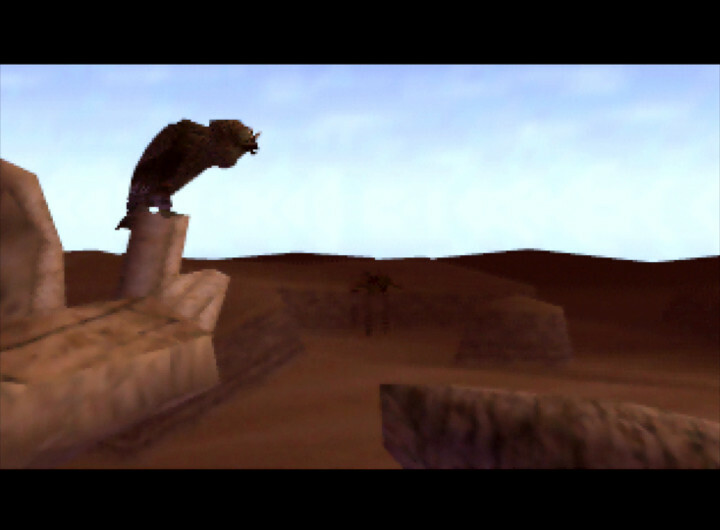 And this is just as well, as they’re easily the game’s most entertaining aspect. 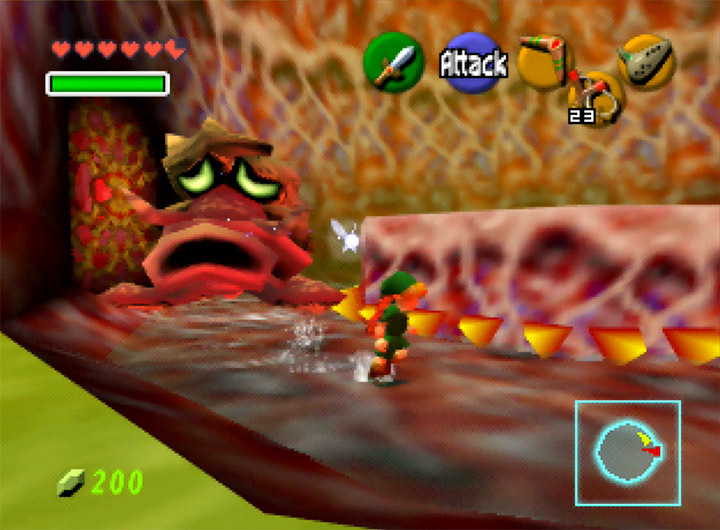 Each dungeon involves a mix of exploration, puzzles and fighting monsters. 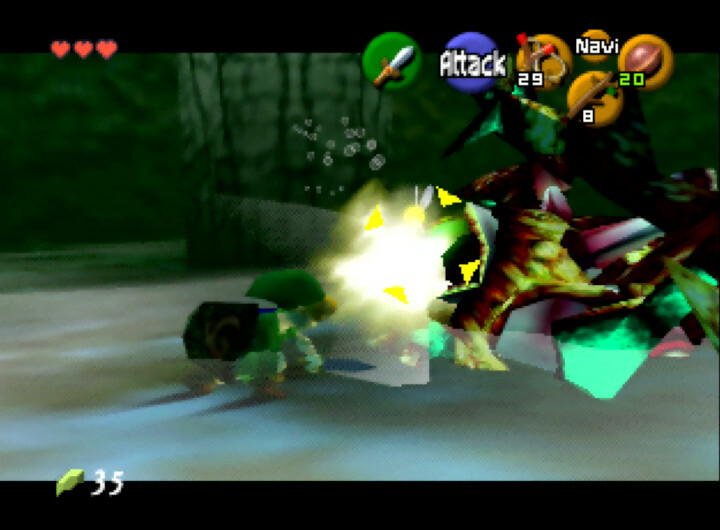 Large dungeons usually involve battling a boss at the end. While the goal is more or less the same in each one, these fantastical and mystical labyrinths feel unique in their own right. 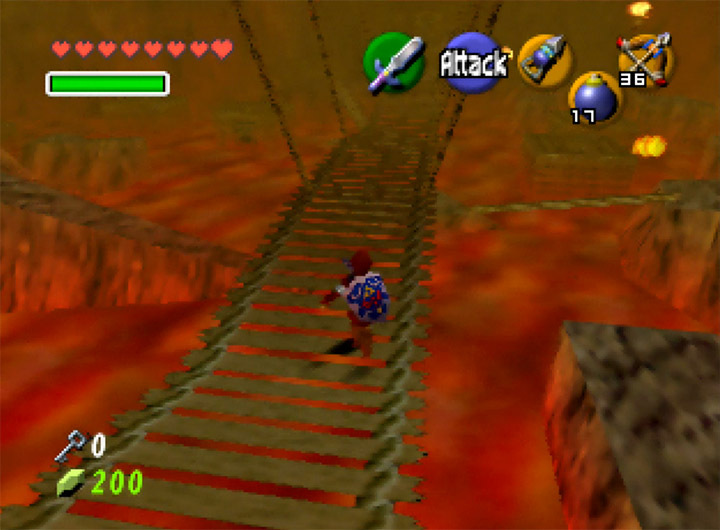 For example, the Fire Temple is a maze of lava pits and fire traps. The Shadow Temple is a chilling domain where not everything is as it seems. 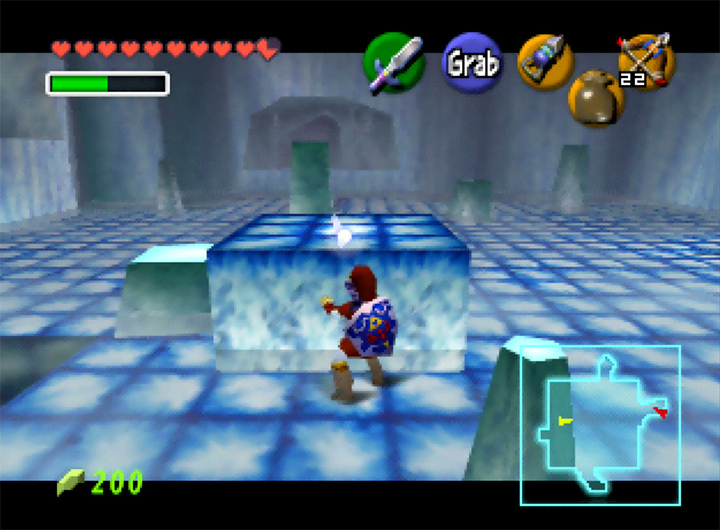 And the subterranean Water Temple is all about dropping and raising the water level to reach new areas. Working your way through a dungeon typically revolves around the object found within it. This could involve finding a bow and using it to shoot otherwise inaccessible switches or planting bombs to open up doorways. This approach serves as a useful, yet fun way to learn how to use an item. 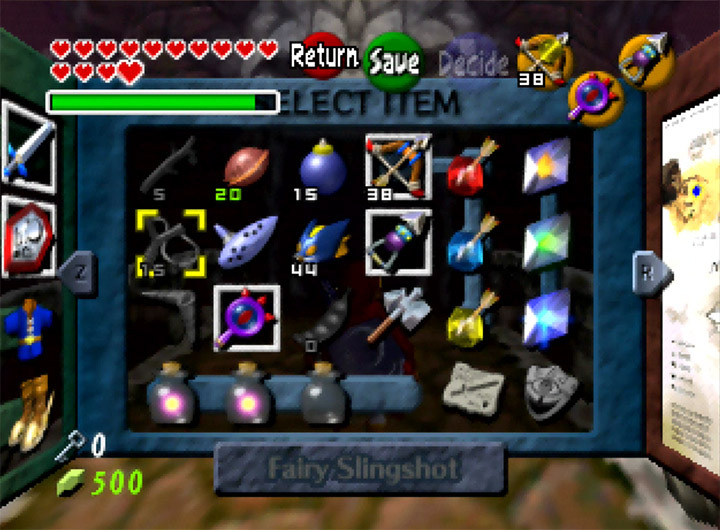 Especially when you’ll need to use these items both in later dungeons and the overworld. You have no choice but to tackle dungeons in a set order. As a result, the later temples are more complex, requiring you to use a wider range of items in them. It gives the game a nice sense of progression while very gradually increasing the challenge at the same time. 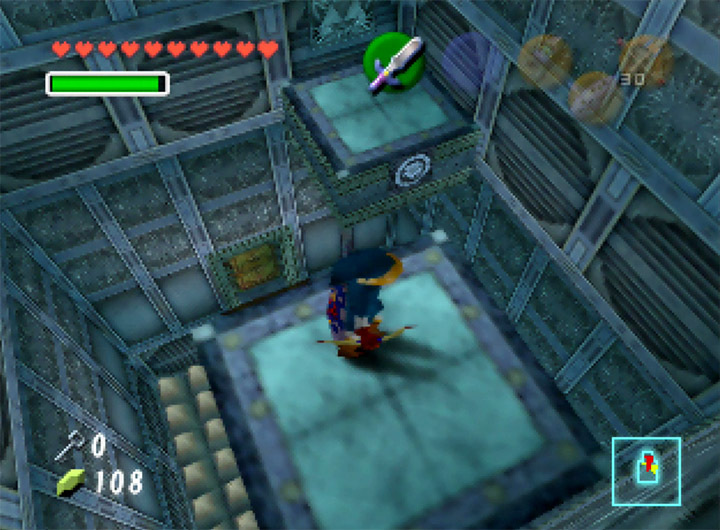 Puzzle solving permeates every aspect of a dungeon. Almost every room within one is a mini, self-contained challenge. Beat it and you can move on to the next room – you may even get an item at the same time. It’s a continual cycle of challenge and reward. And it makes The Legend of Zelda: Ocarina of Time almost impossible to put down at times. Even combat has a puzzle-solving element to it. While mindlessly hacking and slashing is enough to dispose of some enemies, many require a more considered approach. You’ll need to experiment with different items and weapons, as well as identify weak points. This especially applies to boss battles. These set-piece encounters are presented in a thrilling and intense way. But ultimately they boil down to a trial-and-error process of working out what to do and then pulling it off successfully. It feels immensely rewarding when you manage it. And if you haven’t a clue what to do, you can thankfully always call upon Navi for help. 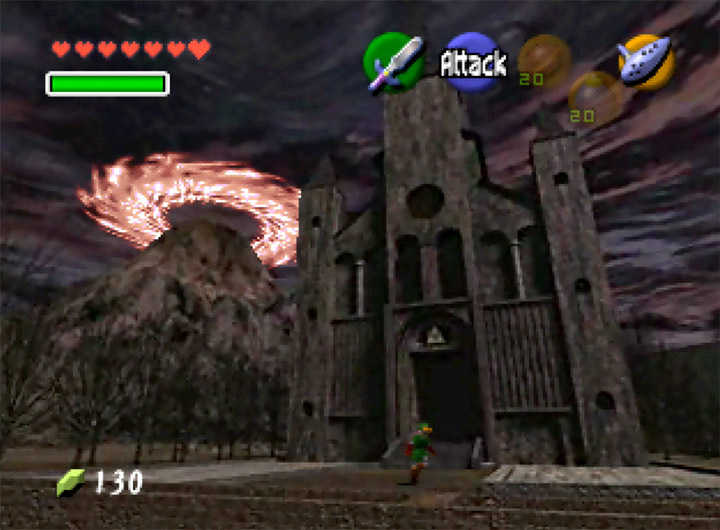 Time travel is a core theme in The Legend of Zelda: Ocarina of Time. 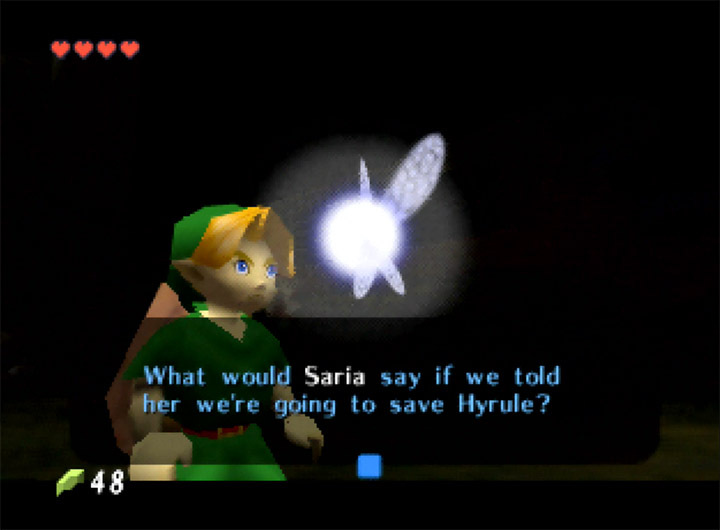 Upon reaching a pivotal moment in the game’s story, Link travels seven years into the future. He ages in the process and becomes a young adult. Despite growing up, Link’s innate abilities don’t really change. Instead, he can now use new items – but loses some of the ones from his childhood years. The most noticeable difference is seen in the game’s world. As a result of the central plot, many key locations have undergone a significant change. 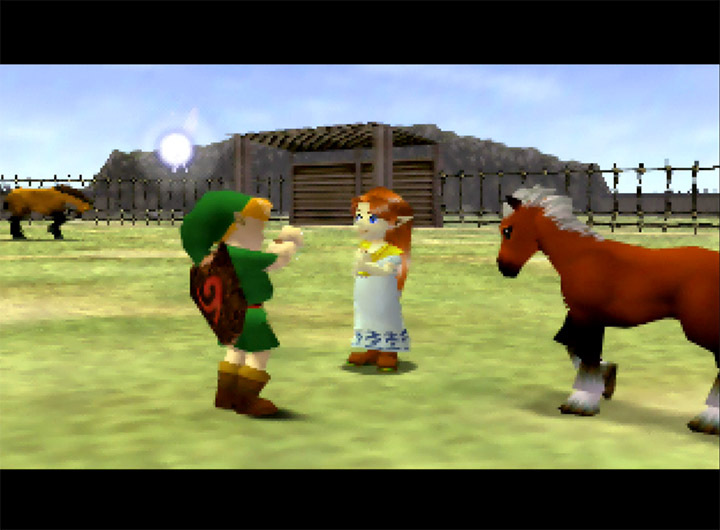 Characters you met during Link’s childhood have since grown up or experienced a life-changing event or hardship. It’s by no means a living, breathing world. But the stark contrast between present and future at least gives the illusion that things have changed with time. At various points in the story, you must return to the past and perform an action there in order to make progress in the future. It’s a neat touch that makes both parts of the game feel more interconnected. Having a lot of usable items at your disposal results in a deeper gameplay experience. However, the downside to this is that you end up spending a lot of time swapping between them. 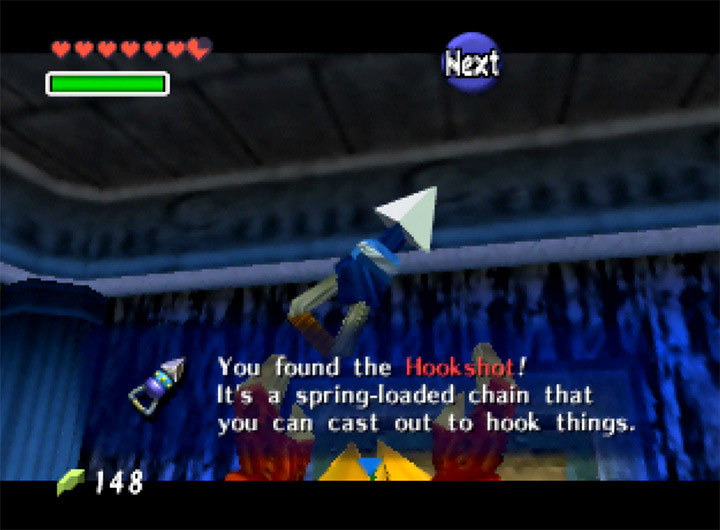 This wouldn’t really be an issue were it not for The Legend of Zelda: Ocarina of Time’s archaic approach to item management. 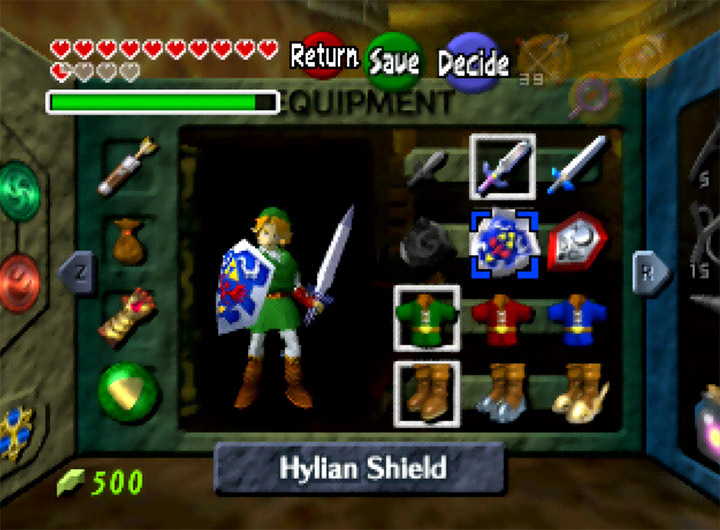 You can assign most items to three of the N64 controller’s C-buttons by pausing the game and going to the item screen. In some dungeons and areas you’ll need to use a lot of different items. And unless you know exactly what items you’re going to need, you’ll be pausing to make the switch a lot. This constant stop-and-start quickly becomes annoying and breaks your immersion. But it’s the changeable equipment you can’t assign to a C-button that’s the biggest offender. For example, two dungeons require you to regularly equip and unequip a different pair of boots. The only way to do this is to pause and select them in the menu each and every time. Why can’t you assign them to a C-button like everything else? While annoying, it’s certainly not enough of a problem to ruin the game. 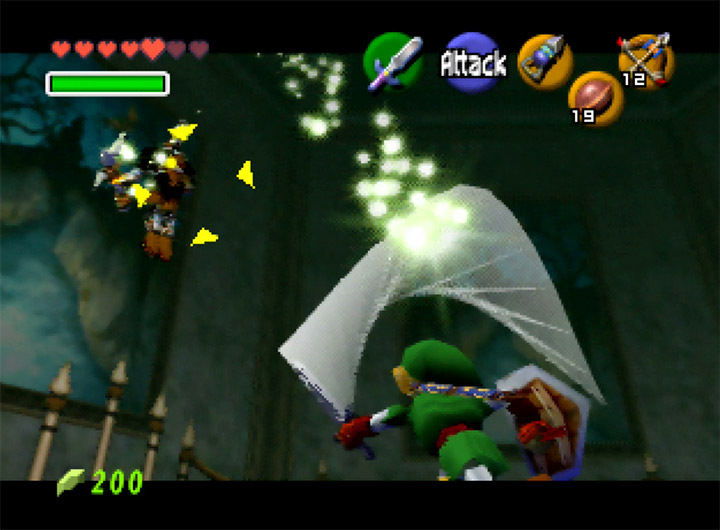 The Legend of Zelda: Ocarina of Time’s aiming and camera controls are surprisingly limited. You can’t freely move the camera around, unless you’re using the first-person view. 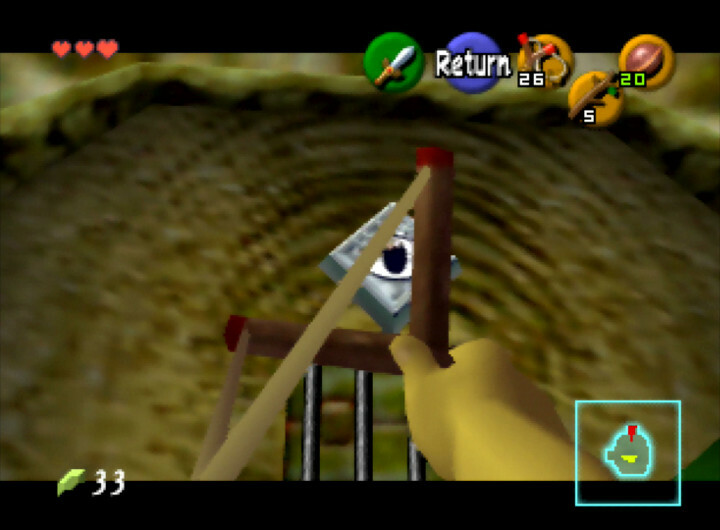 All you can do is realign the camera to position itself directly behind Link. Generally, the camera does an admirable job of providing the best angle. It’s by no means perfect though. For example, there many instances where you must activate a switch that opens a door or disable a trap for a limited time. Doing so usually results in a short cutscene to show the change. The only problem is that the camera doesn’t always revert to the same position it was in before the cutscene. As a result, you often find yourself scrambling to correct it, either losing precious time or making a mistake. In first-person view, the aim controls are inverted, and it’s not possible to reverse them. 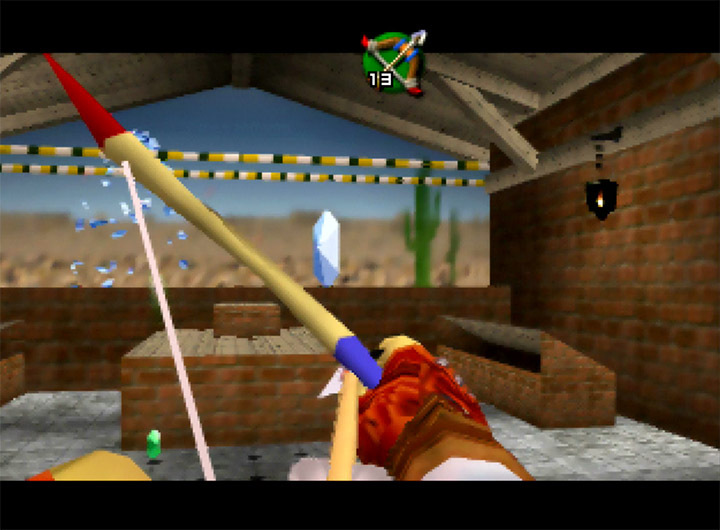 If you’re not used to this, you may find aiming with items such as the bow or slingshot incredibly difficult – at least to begin with. Aiming weapons and the camera are less of a problem when it comes to combat. That’s because you can use the Z-button to lock onto an enemy. This automatically handles all the aiming for you, while keeping the enemy in clear view. It works without issue, meaning that engaging in combat is still very fun. 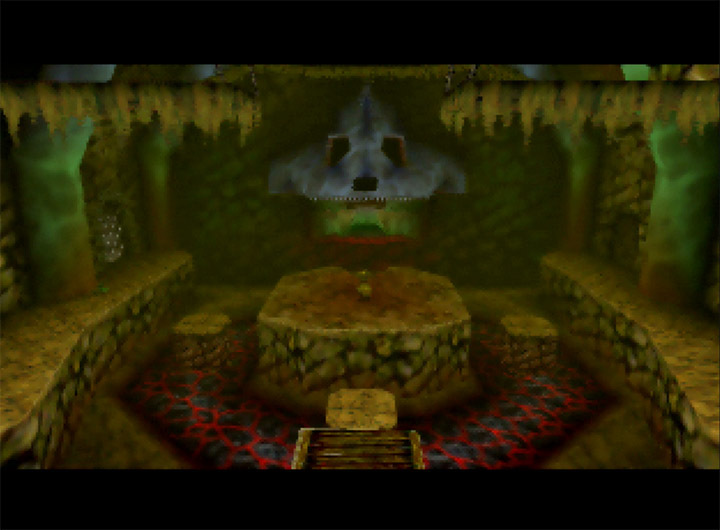 The Legend of Zelda: Ocarina of Time’s visual style strikes a good balance between realism and a cartoon aesthetic. Unfortunately, some environments use pre-rendered backgrounds which stand out like a sore thumb – especially when blown up on a large modern TV. Thankfully the frame rate remains generally smooth and consistent throughout. There are times where you do experience severe drops. This is usually when there’s a lot happening on screen. That said, it never impacts your ability to play the game – if anything, it makes it feel more epic. 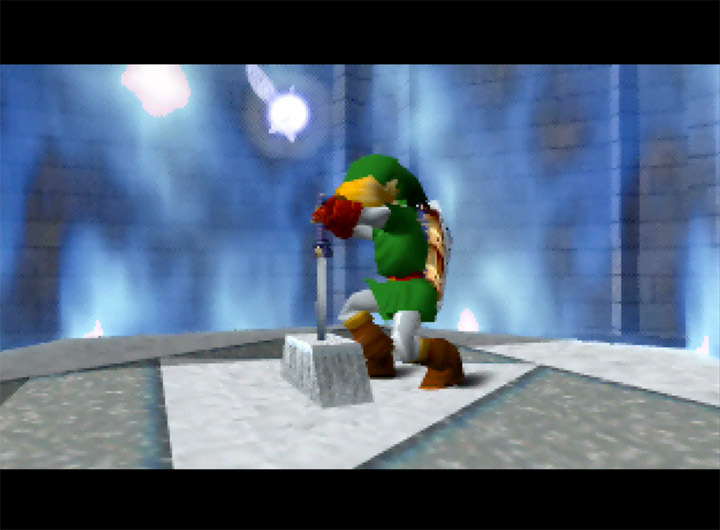 It’s surprising how The Legend of Zelda: Ocarina of Time still manages to deliver an emotional experience despite its limitations. There’s no voiced dialogue and the character models are pretty basic. But the cinematic presentation nevertheless holds up thanks to a number of little details. The camera is always thoughtfully positioned during story cutscenes. And the characters, for all their simplicity, use a range of facial expressions to convey how they’re feeling. 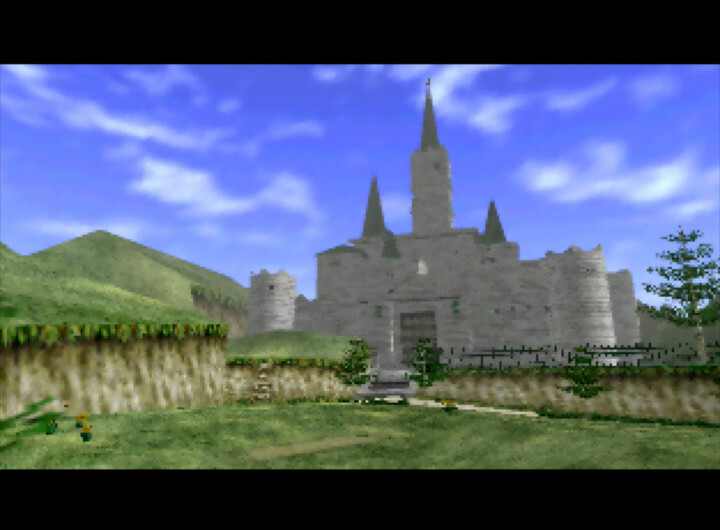 The Legend of Zelda: Ocarina of Time understandably looks and feels dated in parts. Item management feels archaic. You can’t invert the aim controls. And there’s occasional slowdown. But none of these issues are game breaking. This is a grand adventure that’s beautifully and elegantly presented for a game of its time. Moreover, it’s immensely fun to play, thanks to its timeless dungeon design, epic boss battles and novel time-travel element. 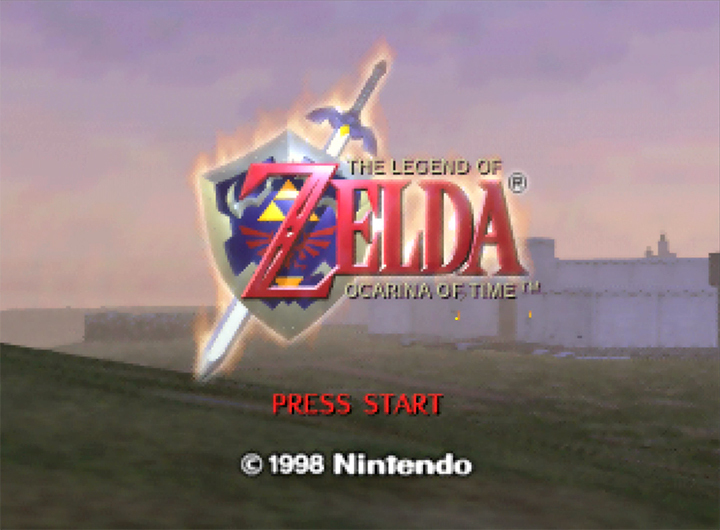 It’d be an overstatement to say that The Legend of Zelda: Ocarina of Time is still the best game ever made. But it’s certainly still one of the greatest N64 games you can play. To learn more about how review N64 games see our review scoring system page. Because we focus on whether a game is still enjoyable to play today, we try to avoid discussing a game’s development history, impact or legacy in our reviews. 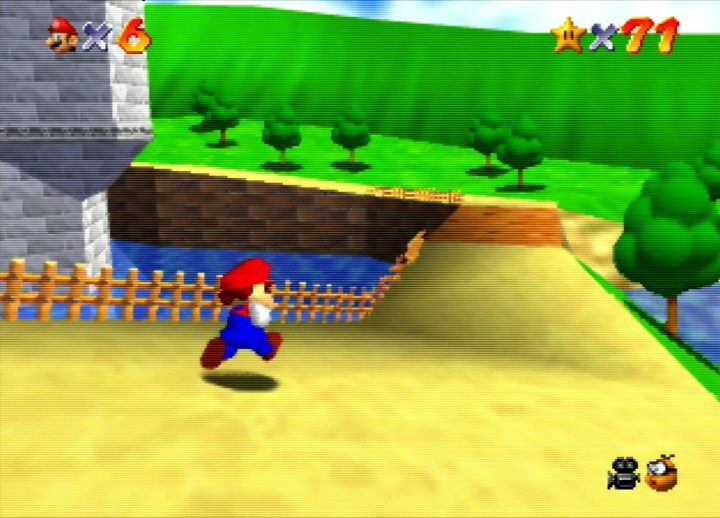 Super Mario 64 review – how does it play today? 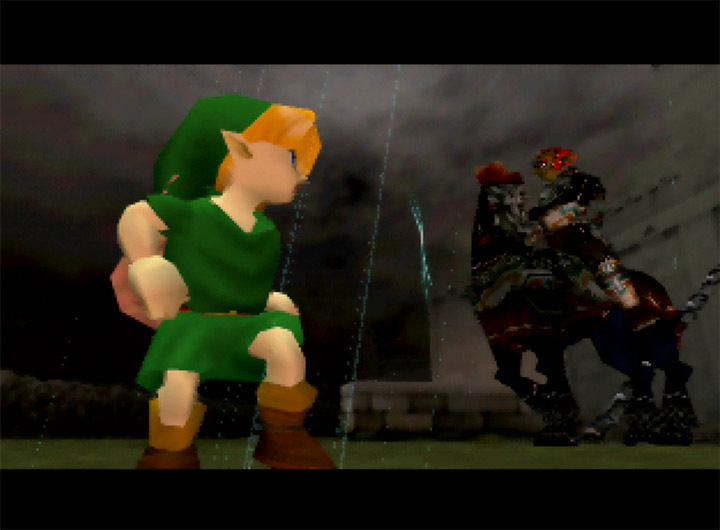 Quiz: how well do you know The Legend of Zelda: Ocarina of Time?